CINCINNATI -- Nobody can accuse Jamie Maier and the husband and wife team of Macy and Andy Meyer of thinking small. 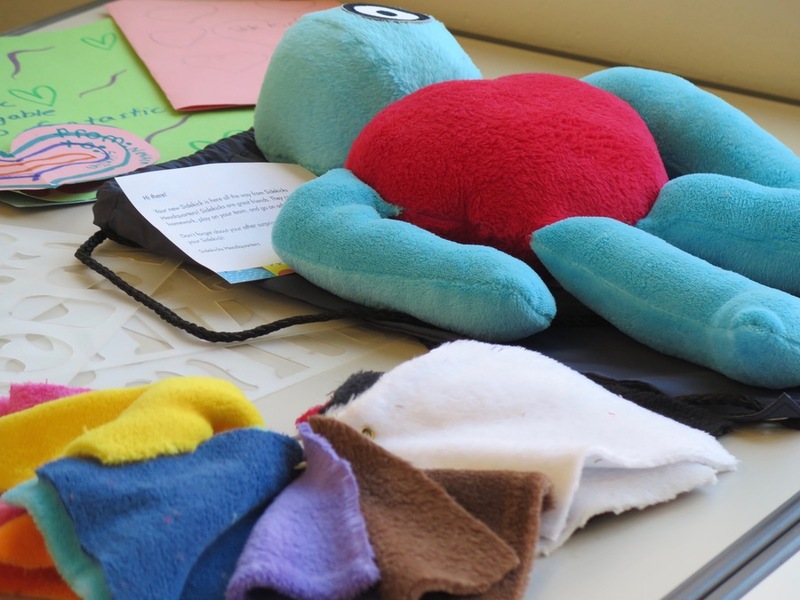 The three best friends’ final project at the University of Cincinnati -- making custom stuffed toys for kids experiencing homelessness -- has grown into a full-fledged nonprofit organization. And that was even before they graduated from UC’s College of Design, Architecture, Art and Planning on Saturday. They got their 501(c)(3) status, formed a board of directors and have even received grants from two respected local funders -- ArtsWave and the Mayerson Foundation . But they also have hit bumps in the road and have been turned down repeatedly by potential donors that like their idea but don’t want to write them any checks just yet. This red and blue toy is named Gwendolyn. A child named it after Macy and Andy Meyer's baby daughter. Fans of the nonprofit, which the friends named Sidekicks Made, are confident it won’t be at ground zero for long. WCPO first told the story of the three friends and their project just a few months into their work. 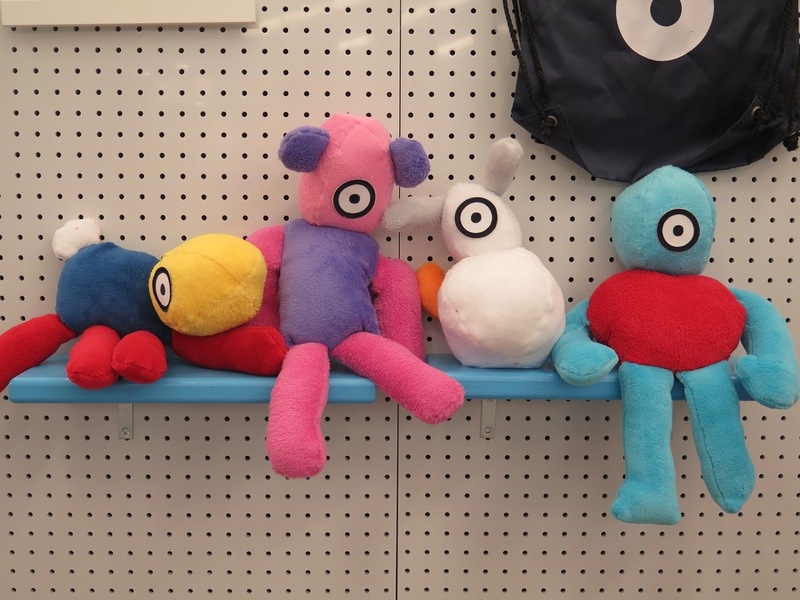 Their goal is the same as it was from the start: to provide comfort, stability and security to children experiencing homelessness through custom-made toys that the kids design themselves. But the way Maier and the Meyers plan to achieve that goal has changed because of the research, testing and experimenting they have done over the course of the academic year. 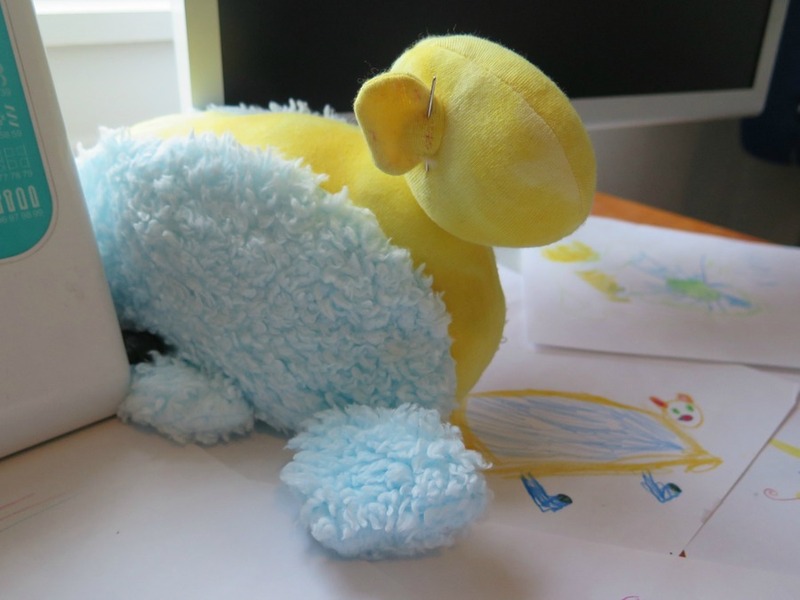 The initial Sidekicks plan was to talk individually with children experiencing homelessness, explain the concept in a kid-friendly way and then encourage the boys and girls to use their imaginations to draw creatures of their own design. 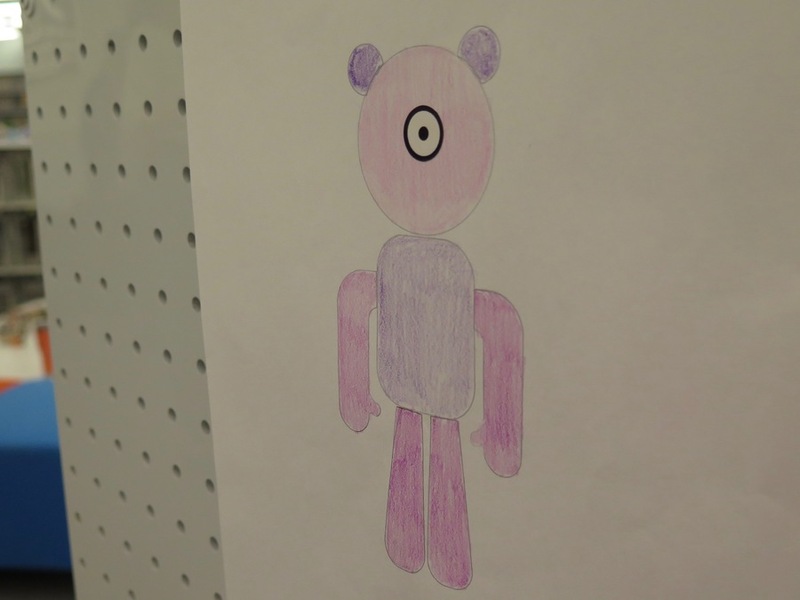 "No name" the bear was an early prototype. There were no limits to children’s creativity in those early months, and that was terrific in many ways. The friends decided to call the creations “Doodlies,” and they continued to work with local family homeless shelters and refine their concept. Then Macy Meyer, the nonprofit’s executive director, was working with a group of children at a homeless shelter a few months later and noticed something. The kids who lacked confidence in their artwork asked her to “fix” their pictures and make the finished toys look “better” than their drawings. The goal of Sidekicks was to reduce kids’ stress during homelessness -- not add to it. So Macy Meyer came up with stencils that had specific shapes that the kids could use to create their Doodlies. Andy Meyer, Sidekicks Made’s creative director, was skeptical at first. This is a drawing made using the stencils. “Being somebody who draws all the time, I was so worried about this undermining the creativity of the kids,” he said. He stopped worrying after the first group of children tried the stencils. They used the little shapes in ways that the Meyers and Maier never considered. One girl combined two legs to create a giraffe neck, for example. “They have blown our minds,” Andy Meyer said. The friends went from hand dying material in Home Depot buckets to buying bulk fabric in an array of 13 colors. They also developed a patch to use for the single, large eye that has become a sure-fire way to spot a Doodlie. A $2,000 grant from the Mayerson Foundation helped cover the cost of those supplies. Other parts of the project changed, too. These Doodlies were made from pictures drawn using the stencils. The friends initially planned to create a custom storybook for each child to go along with their toys.Instead they collaborated to write a book that Andy Meyer illustrated to explain what Doodlies are and what they can do. They now plan to read the book to children when they deliver the completed Doodlies, although they still would like to do more with the books as they grow their nonprofit. The team went through 16 rounds of revisions for the Sidekicks Made branding, logo and design, created by Andy Meyer with lots of input from the others. The graphic “S” with two eyes represents the children they serve, while the graphic “K” with a single eye represents the Doodlies. 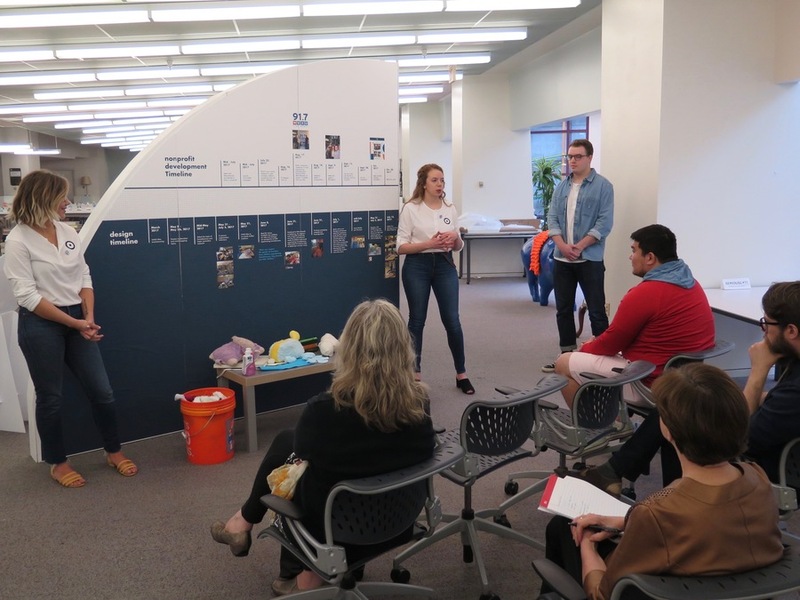 After months of work and experimentation and change, Maier and the Meyers explained their process and presented their project to a small group of professors, family members and advisors. Their massive display, which UC College-Conservatory of Music students Karly Hasselfeld and Will Becker helped them plan and build, shows the evolution of the project, how long it has taken and where it's headed. After the applause, they took questions and asked for suggestions about how to generate money to support their new nonprofit. None of the three plan to take a salary any time soon, but they would like to generate money to pay for the fabric and materials instead of relying only on grants. Jamie Maier, center, explains the research that went into the project that became Sidekicks Made. An executive with Cincinnati Children’s Hospital Medical Center suggested that they take the Doodlies idea to private summer camps. Charge an additional fee for the kids to make a Doodlie, she said, and explain to parents that the money helps pay for the creation of another Doodlie for a child experiencing homelessness. A UC professor suggested they develop a way for people to design and pay for the Doodlies online. An art therapist who had consulted with the students encouraged them to find a way to let children explore what the Doodlies mean to them. Canfield ended the public comments with more words of encouragement. Maier and the Meyers know that won’t always be easy. But they are excited about continuing their work this summer thanks to a $4,795 grants from ArtsWave , which will help them work with between 80 and 100 children at UpSpring’s Summer 360° day-camp for kids experiencing homelessness. And beyond the summer, they are determined to make their little idea into something even bigger than it already has become. 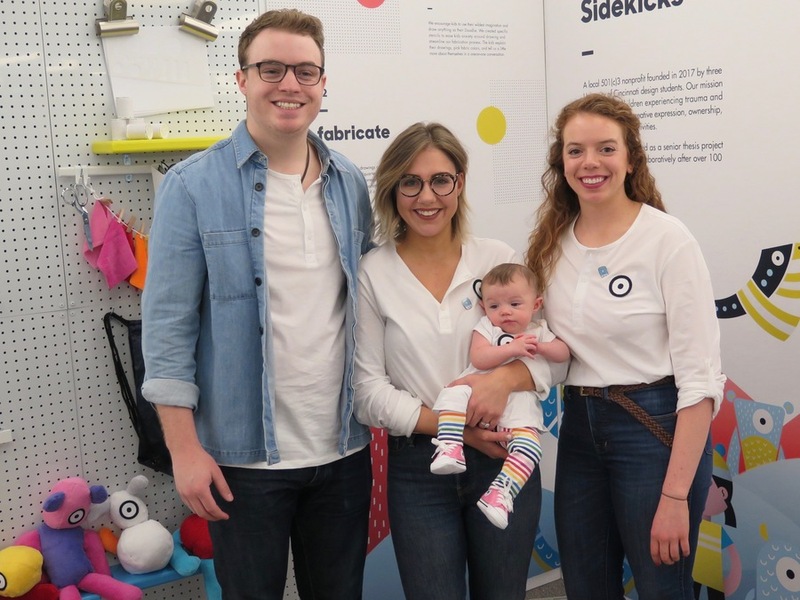 Andy Meyer and Macy Meyer, center, celebrated the birth of their baby, Gwendolyn, in the midst of their work on the project. Jamie Maier kept the nonprofit on track while the Meyers were at the hospital. The Sidekicks Made exhibit will be on display just inside the entrance to the DAAP library as part of the DAAPworks 2018 Showcase of student work. The public can see the display when the DAAP building is open between 9 a.m. and 9 p.m. through April 27. For more information about Sidekicks Made or to donate , go to its Facebook page .